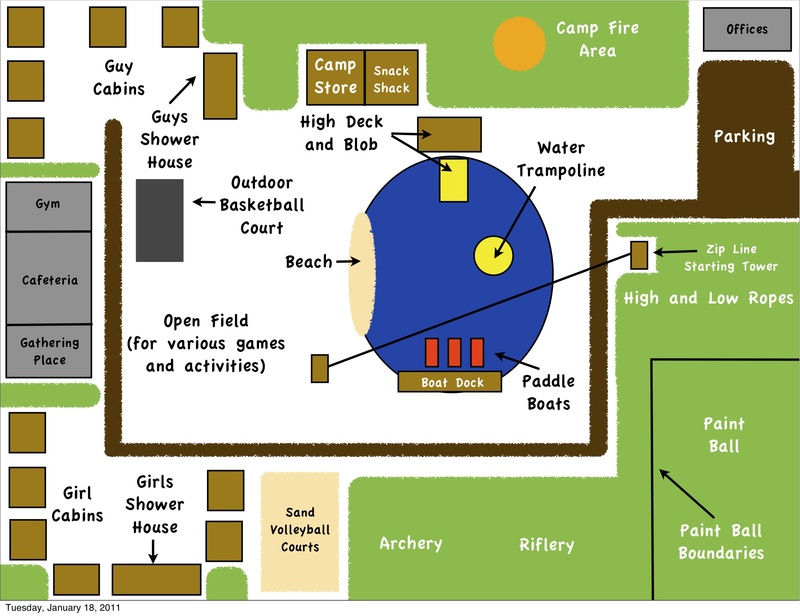 For my Ministry of Christian Camping class I am taking this semester at Piedmont International University, we had to design a layout of a camp facility. This project was very simple, but fun to do. Below is a design of a camp if I ever built or designed one.